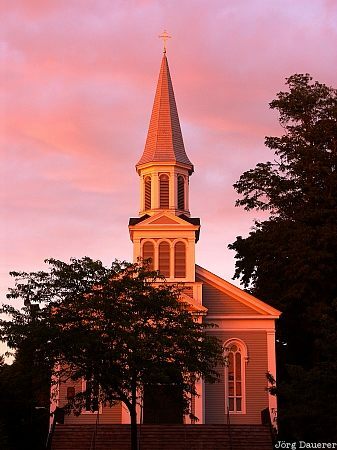 Holy Family Church illuminated by the last light of the day in front of colorful sunset sky clouds in Concord, Massachusetts, United States. This photo was taken in the evening of a rainy day in August of 2004. This photo was taken with a digital camera.